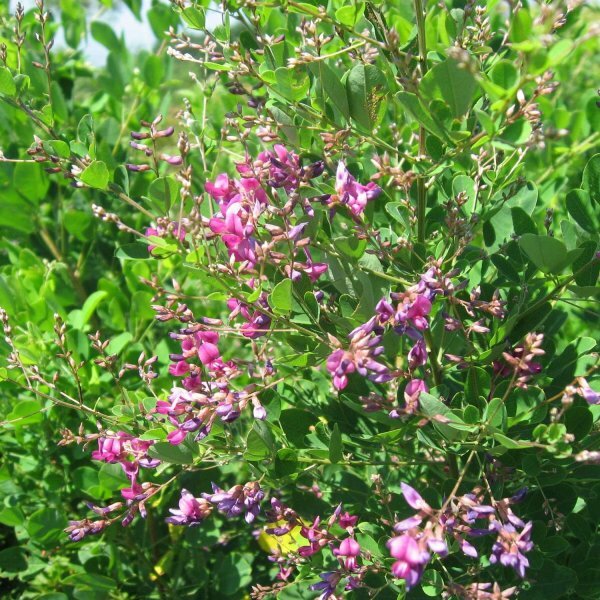 If you need a flowering shrub to fill a garden location where other shrubs fail to prosper, try the shrub or bicolor bush clover. A loosely arching, mound-like shrub that becomes gangly by the end of fall, it looks its best if harshly pruned back every late winter. 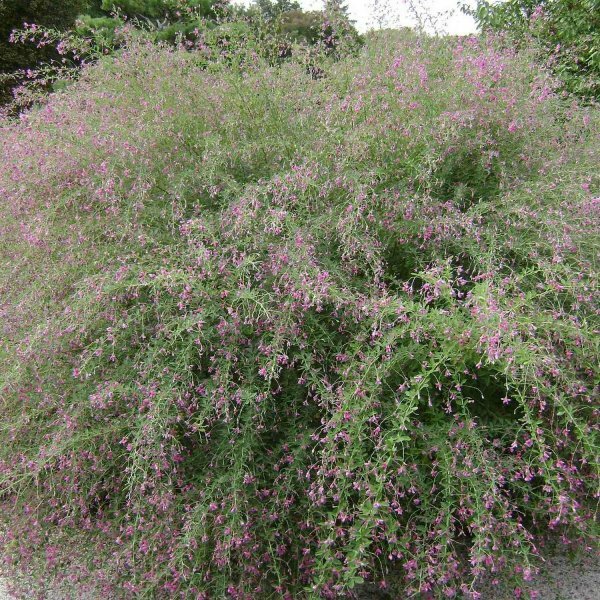 This wispy shrub is native to eastern Asia -- northern China to Manchuria, Korea and Japan. Fast growing once spring's warmth returns, the wiry stems are lined with pleasantly colored seafoam green leaves. Each leaf comprises three perfectly shaped pointed ovals. 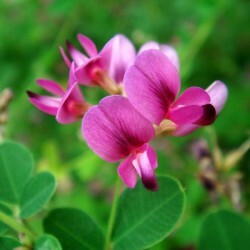 From late spring into summer, pea-shaped flowers arise among the spaces in between the leaves. Flowering is heaviest on the outermost third of the branches. A flower is rosy fuchsia with a keel of white. Bees and butterflies dance among the blossoms in their quest for nectar. Seed pods form weeks later. Fall chill does little to make the leaves turn color before slowly dropping away. 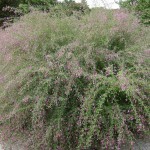 Grow bicolor bush clover in full sun to light shade in any soil type, as long as it's not soggy. Adaptable to any soil pH, this plant truly is difficult to kill. By itself, it looks rather bleak and weedy, but works well incorporated into a mixed border or to fill in a gap to block a view or hide bare soil on a hillside. Selections 'Li'l Buddy' and 'Yakushima' are smaller, compact forms appropriate for more manicured shrub and perennial borders. Germination Pre-soak the seed for 24 hours in very warm water and then sow it in spring in a greenhouse or inside 1-2 mm deep. Keep the soil moist, germinate in warm place. When they are large enough to handle, prick the seedlings out into individual pots and grow them on in the greenhouse for at least their first winter. Plant them out into their permanent positions in late spring or early summer, after the last expected frosts. Cuttings of half-ripe wood, 7 - 10cm with a heel, July/August in individual pots in a frame. It can be difficult to get the cuttings through their first winter, it is best to plunge the pots in a bed of ashes in a sheltered border outdoors.